Why body feelings will determine your financial success. Think back to a time that you had deep, consuming feeling of … ease, calm, peace. A feeling that, whatever is happening in that moment, all is well and that is enough. Even better than only thinking, feel back to that time. From a mental memory, can you recreate a full-body feeling? For this moment, this is enough. If a memory like that is hard to recall, that’s ok, too. In that case, notice whatever feeling you’re with right now. Whatever that feeling is, whatever is really happening right now, that’s enough. For this moment, there’s nothing more to do than notice. There’s no deadlines to worry about. There’s no sense of productivity or efficiency to drive anxiety. In this moment, there’s no urgency. Instead, there’s ease. A sense of physical, emotional, and mental ease. Maybe, a feeling of balance. The moment to pause, reflect, and feel is important. It’s important not only because it feels nice – though that’s inherently worthwhile, too. If you’re a busy person with heavy demands for mental performance, it’s especially important. That feeling of balance is essential for mental performance, and, so, key to business and financial success. Body feelings will determine your financial success. That statement may be surprising. The link between body feeling and finances isn’t always obvious. It’s more popularly understood that these things happen separately and independently: 1) the brain makes choices, and 2) the body has feelings. The view more broadly accepted and supported by academia – a notable few like Kahneman, Demasio, Nummenmaa, Porges -- is that the brain is the body. The two are intimately connected, and can’t be disassociated. The health of the body directly effects the health of the brain. All conscious and unconscious decision-making of the brain, including every high-impact financial decision that the brain is enlisted in, is governed by feelings and signals throughout the whole body. Conscious decision-making in the brain, is lead by unconscious feelings throughout the rest of the body. The feeling of conscious decision-making: Two main decision-making pathways of the brain. Dual process theory is a simplified framework that exemplifies the connection of body states and decisions. According to dual processing theory, there are two primary pathways of decision-making in the brain: System 1 – “Primal”, and System 2 – “Executive”. Read a short disclaimer on simplifying science. System 1 is the body’s more primal decision-making pathway. The primal brain is activated and dominate under stress. Primal decisions are characterized by being fast, intuitive, habitual, and rigid. They’re often considered to be impulsive reactions to stimulus or sensation. For example, in interpersonal relationships, being short with colleagues or friends, saying things that later turn in to regrets. With food, this could be the explanation for “head hunger” – an emotional, impulsive drive to eat rather than a considered response to hunger cues. Like a drive for sweet food when feeling overwhelmed with emotional or mental stress. The System 2 decision-making pathway is more evolutionarily recent. It includes the most analytical functions of the brain, including executive functioning. This analytical, executive functioning most easily takes over when all other fundamental life-sustaining processes are sufficiently met -- when the body feels calm, safe, sufficiently clear of threat. Like in those moments of balance, for example. Like sipping and savoring a drink or food, feeling relaxed, in-the-moment, without urge to get to the next one. Or, being in flow at work, lucid thinking, feeling driven and goal-directed by purposeful projects. These are the moments that the Executive thrives. Both systems are valuable and necessary. Neither one of these decision-making systems is inherently good or bad. Both are necessary and valuable under different circumstances. For example, habits that are so ingrained in a lifestyle that they need near-zero analyzing are essential to getting through the day productively. Primal brain processing is fundamental. Above those fundamental lifestyle habits, Executive processing is essential for deliberate change and personal growth. For deliberate change, shift Primal decisions to Executive decisions by understanding full-body feelings. If your goals include more deliberate change and growth, it’s necessary to understand how to shift more decision-making from Primal to Executive. Likewise, it’s necessary to understand this link between cognitive brain choices and full-body feelings. Clearly, lifestyle change isn’t typically a matter of a simple direct choice, like of flipping a light-switch: Old, unwanted habits off – New, healthier habits on. Deliberate and sustainable change is a part of a longer, more arduous process. Fortunately, that shift to accessing Executive functioning and making deliberate change is predictable. The shift between Primal and Executive functioning depends on understanding and managing stress. The shift of decision-making processes is predictable, and dictated by stress. The more we can understand our stress, the more we can work with managing it. The better we can manage stress, the more capacity we have for Executive thinking, and more deliberate decision-making for growth. Understanding stress: The stress sweet spot = balance. Stress is a threat to your safety, either real or perceived. Within a stress sweet spot, is that feeling of balance. Finding that stress sweet spot and balance is a reward that comes with deliberate effort. Finding the bliss of balance has some specific pre-requisites. The fundamental feeling of safety needed for balance requires that fundamental health needs are being cared for. The over-reaching health definition, adopted by the World Health Organization, categorizes health into three main pillars – physical, emotional, and mental. Going beyond simply surviving, these are the same categories we use to define and understand Performance (thriving). Nature (i.e. your body) is driven towards balance: Imbalance = stress. In biological terms, balance is dynamic homeostasis: a state of constant tuning and adaptation in response to internal and external changes. Bodies are constantly functioning in a drive to maintain dynamic homeostasis. That’s a principle of all Nature, (not only the human body part of Nature). It’s all happening almost entirely outside of conscious awareness. The nervous system is constantly oscillating between systems of alert and systems of recovery in order to maintain stable energy, mood, and motivation. Metabolism is constantly working to maintain a neutral energy balance. Generally, the more calories you take-in, the more metabolism will speed-up in order to maintain homeostasis. It’s the job of hormones to maintain balance. It’s the job of hormones to send the signals to cells that communicate those internal changes that maintain balance. For the example of hunger, cells send hormonal hunger signals when nutrients and calories are low, and hormonal satiety signals when nutrients and calories are sufficiently balanced. Stress Management: How to use Executive choices to deliberately shift body signals. Homeostasis is governed almost entirely by unconscious body signaling of hormones. If these are unconscious processes, how can we consciously recruit more Executive functioning, to more deliberately balance health and more effectively manage stress? That’s not like wizard, pseudo-science kind of alchemy. More effective is the all-natural, mortal forms of alchemy -- of Nutrition, Movement, and Rest. Choices we make of Nutrition, Movement, and Rest are our levers for consciously, deliberately changing hormones and shifting communication signals towards balance. In turn, creating the conditions conducive for the stress sweet spot, balance, flow … more conscious Executive decision-making, more freedom, and more success. Conscious choices of Nutrition, Movement, and Rest change unconscious body signaling. Depending on the choices that we make in those three categories, we’re moving body biology either closer to balance, or closer to imbalance (stress). The closer you get towards balance, the more capacity the brain has for executive decision-making. Then, with the Executive on the scene, the more capacity we have for the personal growth and the financial victory that may otherwise feel elusive beyond grasp. This big-picture understanding of the internal communication process of decision-making, makes clear the link between body feelings and business success. Nutrition, movement, and rest are so much more than simple calories and leisure. These are the primary levers to balancing your biology, managing stress, and living a more conscious lifestyle. How do you know which levers to pull, how, and when? That’s a matter of Physical Intelligence: The skill of maintaining balance physically, emotionally, and mentally; i.e., Effective communication with your body. Physical Intelligence (PQ) is effective communication with your body. As earlier examples explained, Nature communicates its needs for homeostasis through hormonal body signals. Hormones are the communication system that govern all energy levels, mood, and motivation. Maintaining homeostasis – balance – depends on a conscious ability to accurately read and respond to those signals. 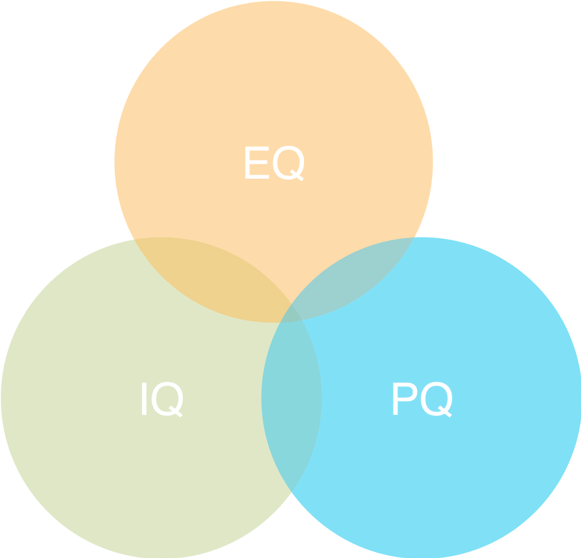 Another way to understand PQ is an ability to call it as you feel it, accurately. The practice of call it as you feel it and creating more accurate neural associations, creates a clearer and clearer understanding of the cause and effect happening within the body. That is, the cause that cognitive choices and external changes have on the effect of internal body sensations. Higher PQ creates more clarity of otherwise confusing body signals. In an ideal (or magical) world, the brain would be perfectly developed and calibrated to recognize and translate body signals. For example, when the body sends a hunger signal, the Primal brain recognizes the signal, the Executive brain makes a thoughtful choice on how to respond with nourishing, wholesome food. In a more realistic world, the communication between signal and response isn’t so clear; understandably. It’s understandable especially considering that there are 30+ trillion cells in the body (!) that need to be communicated with. 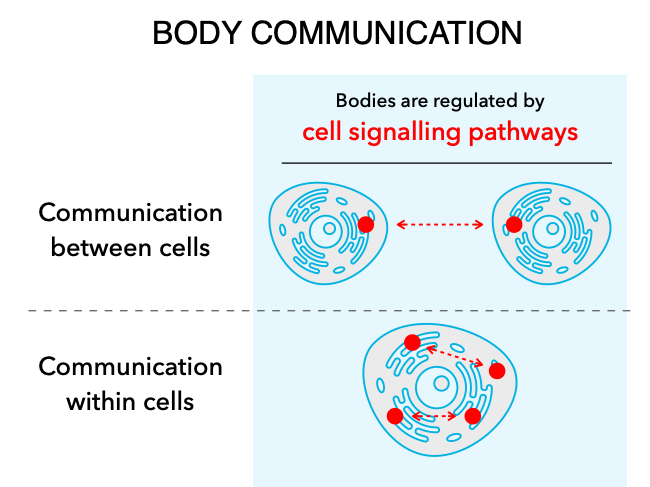 There’s an amazing amount of body communication happening constantly in order to synchronize that massive symphony of human cells. Within that majestic universe of cells, for sure some of the permutations of signals will be unfamiliar, confusing, and stressful. Under those unfamiliar, non-habitual situations is when Executive functioning is essential for choosing the healthiest path forward. Choices made in those unfamiliar situations are a matter of recruiting high PQ and effectively responding to stress. Developing PQ is a lifelong process. Developing PQ is a complex and dynamic experimentation, rather than a set of simple, static rules. For example, a similar feeling of fatigue might today be solved best with a nap. Tomorrow, the best solution might be something seemingly opposite, like a run. Making the optimal choice for yourself requires a broad data set of experience and adaptability in the moment. Additionally, there’s no rule book that applies to every individual. The strategies that work for me might not be the same strategies that work best for you. It’s a unique personal code to crack. What’s the way to crack it for yourself? Self-practice, self-experimentation, and self-study of what’s really happening (i.e. call it as you really feel it). Then, study what works for you and your goals. Over a long-time (like, a lifetime). Advanced PQ means advanced stress management and a more conscious life. If you’ve ever had a moment of wondering, “how did I get here?” or the realization that, “I know what to do, I’m just not doing it”, those could be signs that Executive functioning is being left out of the decision-making game in important ways. If you’re also under a lot of stress, then this link makes total sense. Stress dictates the decision-making pathways of your brain. If you’d like to access more Executive functioning, and work on making deliberate lifestyle changes, there’s proven and predictable ways to do that through managing stress with high physical intelligence. First, call it as a you feel it. Then, respond intelligently. In that symphony – or sometimes mess -- of body signals that are constantly unconsciously working to bring you back to balance, you can learn to listen, interpret, and choose better. One place to start: Intelligent nutrition raises PQ. If nutrition is one of the places you’d like to make more deliberate choices, the PN foundational practices of Eat Slowly to 80% Full are impactful places to start. If you want more conscious decision-making for more mental and financial success … consider the impact of physical intelligence. PQ can be practiced and applied anywhere in life. For the greatest ROI for the mental Executive, maybe start at the foundations – eating wisely.